At the end of November the particle physics community lost one of its most inquisitive, enthusiastic and active members when Milla Baldo Ceolin, emeritus professor at the University of Padua, passed away after several months of disabling illness. After graduating from Padua in 1952, Milla began her scientific career in research with balloon-borne nuclear emulsions exposed to cosmic rays in the high atmosphere. Using a pion beam from the Bevatron at Berkeley, in 1958 Milla and D J Prowse discovered the first antihyperon: the antilambda. 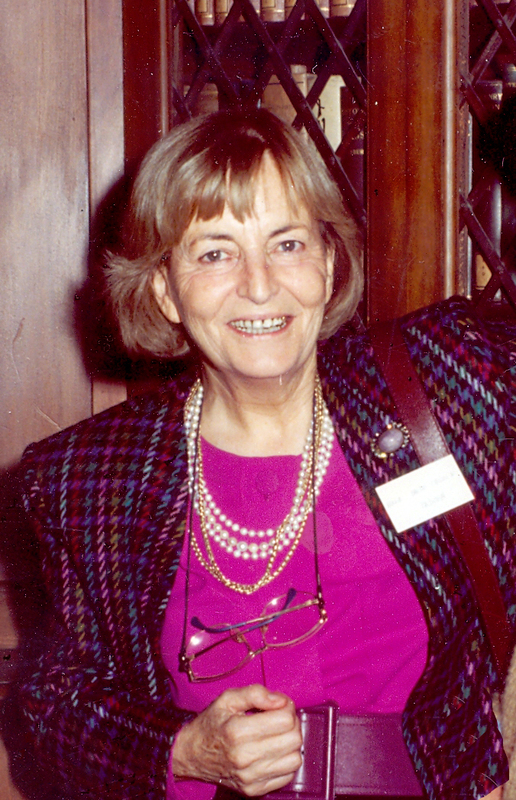 At the beginning of the 1960s she decided to change detection technique and began experiments with bubble chambers at Argonne, CERN and the Institute for Theoretcial and Experimental Physics (ITEP) in Moscow to investigate selection rules and conservation laws in the kaon system with higher statistics. In the meantime, her group in Padua grew steadily, working in international collaborations. The main field of her investigations changed to neutrino physics after the discovery of neutral currents in 1973. At CERN, she took part in the NUE experiment that measured, for the first time, both neutrino and antineutrino elastic-scattering cross-sections of electrons and provided a value for the Weinberg angle, . Using bubble chambers with liquid deuterium, Milla and colleagues performed in a large collaboration (Italy, France, Norway and Netherlands) systematic investigations at CERN’s Super Proton Synchrotron on neutrino neutral and charged currents on (quasi) free protons and neutrons. Finally, she led the Italian contingent of the NOMAD collaboration whose detector studied the oscillations in the 1990s. After becoming a full professor in 1964, Milla was appointed director of the Padua Section of INFN a few years later and then became director of the Department of Physics. She was a member of several academies and was awarded the Feltrinelli Prize by the Accademia dei Lincei, as well as the Gold Medal for Education and Arts, the Gold Medal for Science and the Enrico Fermi Prize of the Italian Physical Society. In 1988 she started the world-renowned series of Workshops on Neutrino Telescopes at the Istituto Veneto di Scienze, Lettere ed Arti in Venice. These gathered hundreds of scientists to discuss neutrino properties, astrophysics and cosmology; her quest for perfection was manifest both in the scientific programmes and in the cultural and social events. Milla’s students and colleagues were always stimulated by her non-conventional approach to scientific, academic and cultural issues. We are grateful to her and will miss her.